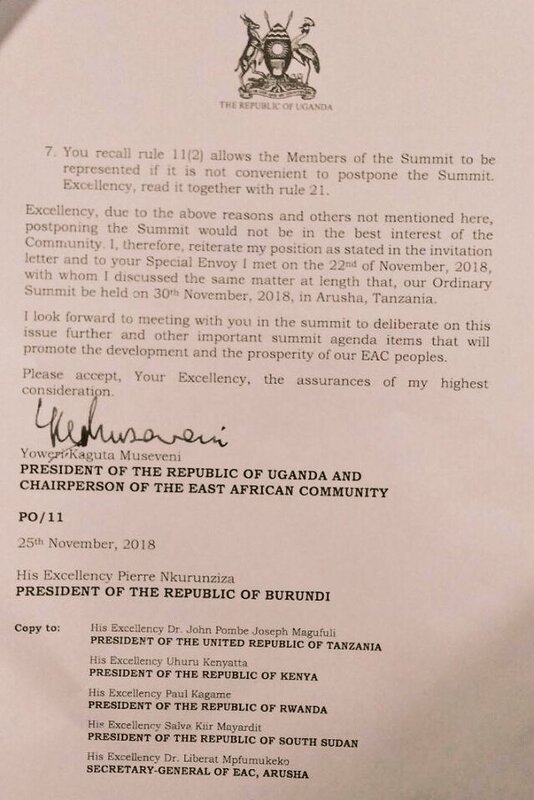 ARUSHA- President Yoweri Museveni also the chairman of the East African Community (EAC) has called off a Heads of State summit that was scheduled for today, Friday, November 30, in Arusha Tanzania. The meeting has been called off, apparently due to lack of representation from Burundi. 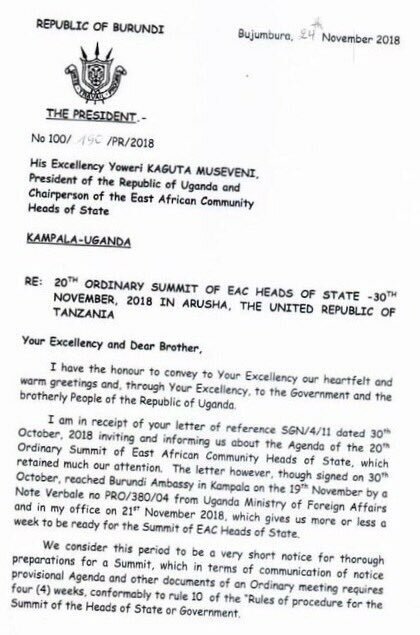 Earlier this week, Burundian president Pierre Nkurunziza who has not left his country since the attempt to overthrow him in 2015 had asked President Museveni to postpone the summit claiming he received the communication on a short notice, making him not ready for the summit. The EAC Chairman Mr Museveni however, decided to proceed with the Summit. Burundi did not attend the meeting of the ministers earlier this week. Yet, unanimously the Ministers recognized that their meeting can only be informal because for it to be called “EAC Council meeting” all countries have to be represented in line with Rule 11 from EAC Rules of Procedure for Council. 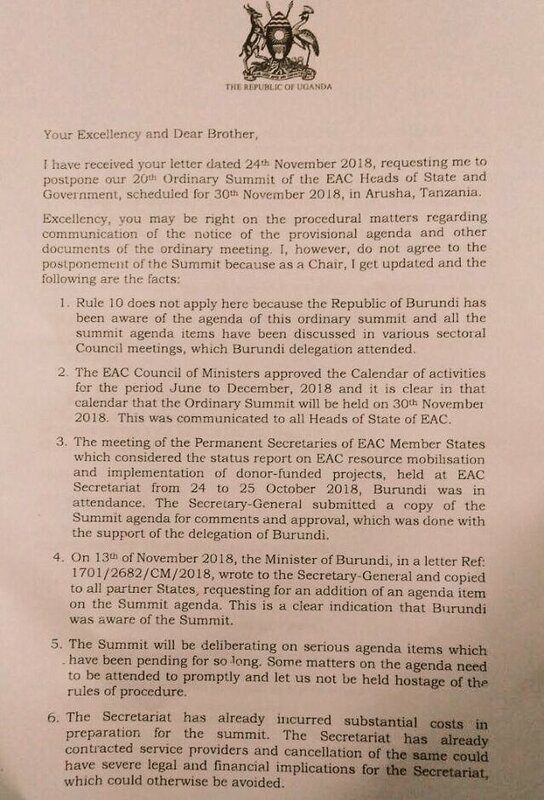 On Friday, Burundi decided to shun the Summit. PML Daily has also learnt the same rule applies meaning that the absence of Nkurunziza or his representative meant that the decisions of the Summit would be null and void. 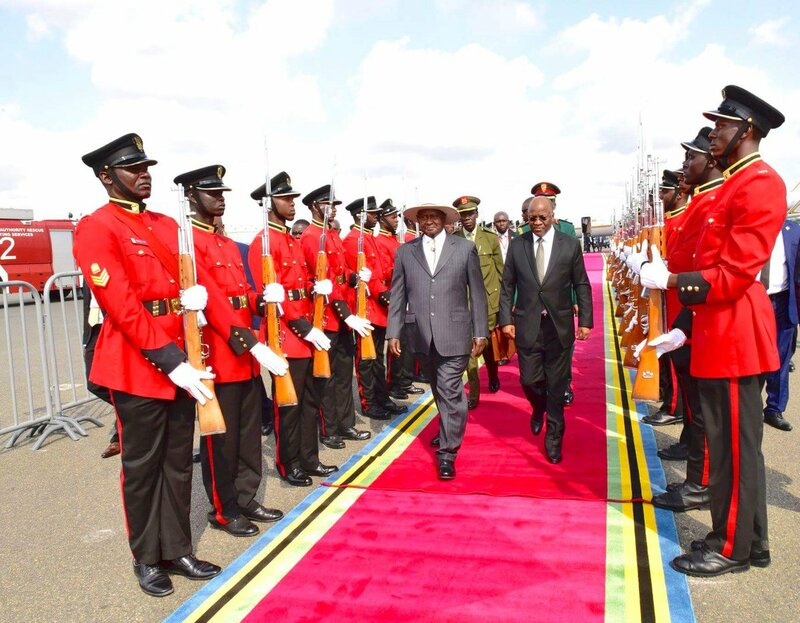 State House had earlier confirmed that President Yoweri Museveni (Uganda), President of Kenya Uhuru Kenyatta (Kenya) were already in Arusha together with the Tanzanian leader John Pombe Magufuli ready for the summit. Others were South Sudan president Salva Kiir and a delegation from Rwanda was also in Arusha for the meeting. The summit was meant to discuss key among others the status of ratification of various protocols; the status of resolution of long outstanding non-tariff barriers, and; the progress report on the adoption of Political Confederation as a Transitional Model to the East African Political Federation. Other items on the Agenda include the roadmap for the accelerated integration of the Republic of South Sudan into the EAC, and; the verification exercise for the admission of the Republic of Somalia into the Community.